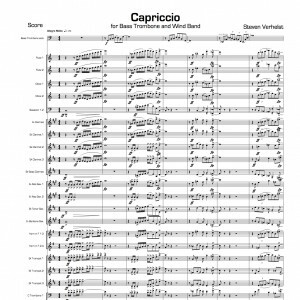 Capriciously, virtuoso, sparkling but nevertheless also restful; in short “Capriccio”. 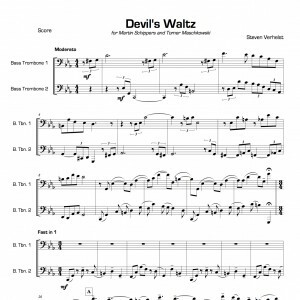 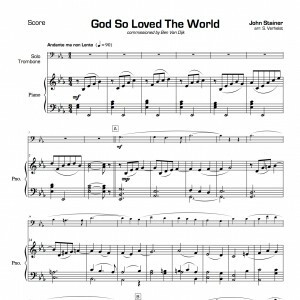 This work exists of three succeeding parts, which form together one expressive, fluent musical story. After a triumphant opening we get acquainted with the floating strength of the bass trombone as a head role player. 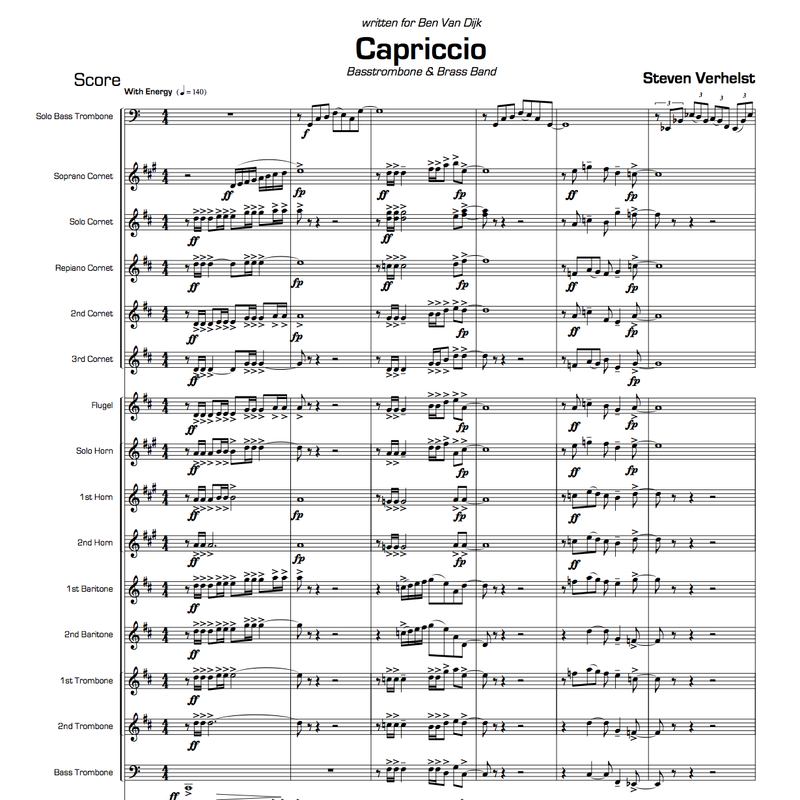 The other players, a six piece trombone ensemble, ensure extra thrust. The virtuoso and technical approach of the soloist is noticed immediately. The thrust is scaled back and the technical virtuosity makes place for the warm and romantic side of the bass trombone. 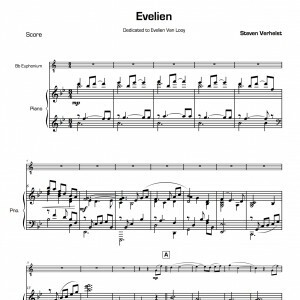 In a 3/4 meter we start dreaming with a sultry accompaniment. Towards the end, we get in higher environments both melodically and dynamically. The cadenza acts as a bridge to the last part. The head role player returns sobered up to the roots. The driving beginning topic now develops to a climax in which the soloist, in a spectacular manner, can give the best of himself. 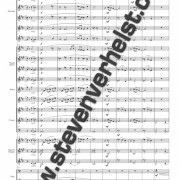 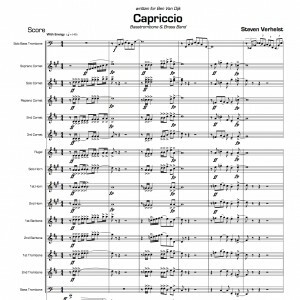 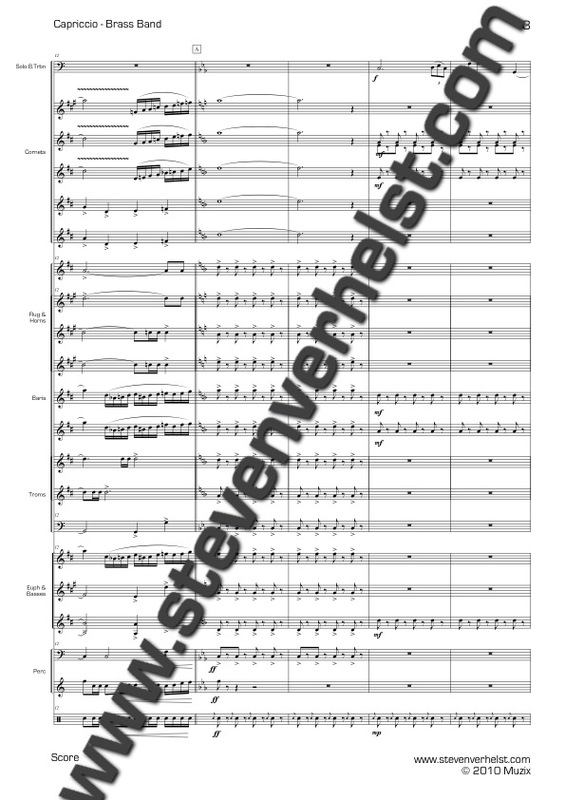 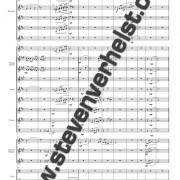 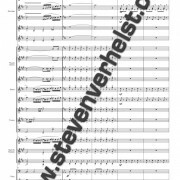 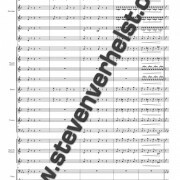 Capriccio was written especially for Ben Van Dijk, bass trombonist of the Rotterdam Philharmonic Orchestra and was premiered in November 2005 at the Kentucky University Trombone Day.